This summer we’ve dealt with an increase in caravan theft insurance claims – with a significant spike in May where we had the highest number of thefts reported in a single month. The Vehicle Crime Intelligence Service also reports an increase in caravan theft levels from last year and some police forces have issued warnings to caravanners to increase their security. You’ve probably spent thousands of pounds on your caravan but you can protect and secure it from theft without having to spend hundreds. And if you don’t have caravan insurance it could prove very costly to have to pay to replace your tourer if it was stolen. 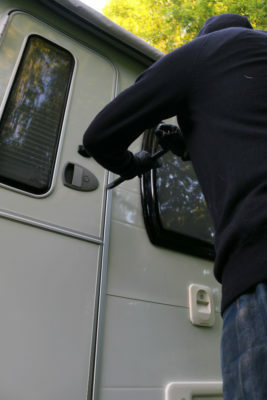 Here’s our top tips on securing your caravan from theft. Plus we take a look at as some new video monitoring systems so you can keep an eye on your tourer. Make sure your caravan is locked and securely stored as it’s more vulnerable to theft when not in use – plus keep checking it regularly to make sure everything is okay. Always immobilise your caravan with hitchlock and wheel clamp or axle lock and make your storage location as secure as possible. If you’re storing it at home, try to keep it out of sight and protect it behind locked gates or security post. 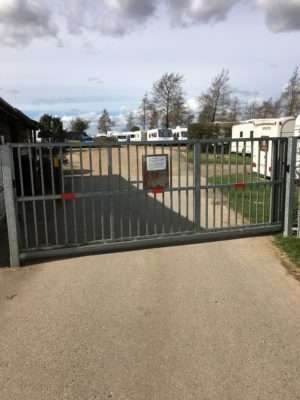 If your caravan is kept in storage, look for sites with multiple layers of security and at the very least make sure there’s perimeter fencing and access control, but also CCTV and night-time security if possible. You might get an insurance discount if you use an approved CaSSOA (Caravan Storage Site Owners’ Association) storage site. Remember whichever site you choose you should check the levels of security for yourself, and check for any thefts or crimes reported in the area on the Police.uk website. If you’re going away avoid loading your caravan the night before and leaving it outside your home with all the valuables inside. Instead, block the caravan in overnight and save loading until you’re ready to set off. 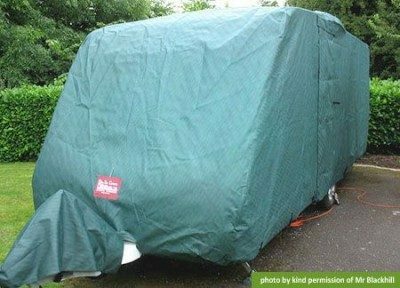 Investing in a caravan cover will not only protect it from the elements but it’s also another layer of protection potential thieves have to get through – plus they can’t immediately see the type of caravan you have. Fit an approved tracking device to your caravan as it will help to recover it if it’s stolen. The most effective proactive devices combine and alarm and tracking system, which are linked to a 24 hour control room, who will alert you if your caravan starts to move. These proactive devices usually give you a healthy discount on your caravan insurance premium. It’s important to keep your tracking device subscription up-to-date and activated. Also keep an eye on battery power to make sure it remains effective. Adding an alarm might just make a thief think twice about trying to take your caravan or its belongings and will obviously alert you to an intrusion. Just remember to turn it on even if you leave your caravan for a short time, as thieves can be in and out before you know it . For those of you who prefer a more hi-tech option, you might want to look into a small mobile camera system. We looked at Blink. It’s a HD monitoring system which could keep a watchful eye on your caravan. It’s battery powered, quick and easy to install and is totally wireless. 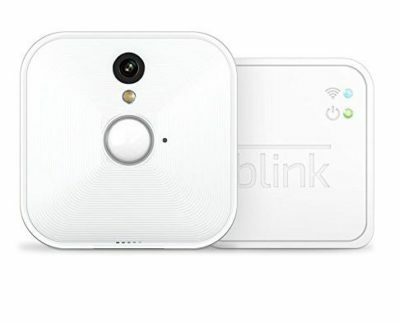 Motion sensors detect movement and send a push notification alert along with a short video clip to your smartphone so you can see what’s triggered the sensor. Through the Blink app you can access on demand video streaming and even manually disarm or arm your system. It’s powered by two AA Lithium batteries, which with standard use Blink says With standard use, should last two years. It has to connect to your home Wi-fi system so it’s probably only really an option if you keep your caravan at home – you may be able to get similar systems with an in built sim card so they are self sufficient. There’s 2GB of free storage – approximately two hours of footage. Once the storage is full, the earliest clips are over-written. 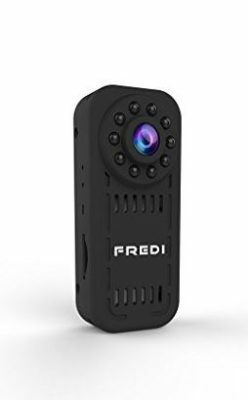 There are other systems that also connect to your home Wi-Fi such as this mini hidden camera with 140 degree super wide view angle and live video. It’s portable and can also be remotely viewed via your smartphone. It’s available on Amazon for £37.99. Invest in good quality locks and look for security products that have been tested and meet a Sold Secure standard. The Diamond Sold Secure standard is the highest rating, followed by Gold, Silver and Bronze. Lock the coupling head with a hitch lock, and the wheels with locking wheel nuts, plus a good quality wheel clamp or better still, an axle wheel lock, which could mean an insurance discount. Corner steady locks are also a great deterrent and are easy to fit. Supplementary window and door locks will add an extra layer of security and make breaking in that little bit more difficult, or better still will make a thief think twice about forcing entry into your caravan. Security mark property inside your caravan with your postcode and then the inside of your caravan with the last six digits of your VIN number. The new VIN Chip plus kit comes with a UV pen which will also hold your caravan’s VIN or CRiS number, as well as a scannable chip you can hide inside the caravan. There are other property marking solutions, which will also give you an insurance discount. Make sure your caravan is registered with CRiS – the Central Registration and Identification Scheme, so you have a record of all the caravan’s details, including the VIN number. Always close doors, windows and roof lights when you leave your caravan and when you’ve locked up take the keys with you and at home keep them stored safely and out of sight. Remove valuables and any items that thieves could want to steal. Leave locker doors open when you’re not using your caravan and keep cupboards and curtains open. If you don’t have a caravan cover, this will let a thief know that your caravan is empty. When laying up your caravan, it’s also worth removing some of the upholstery, wherever possible, as this will reduce the value of your caravan to a would-be thief. 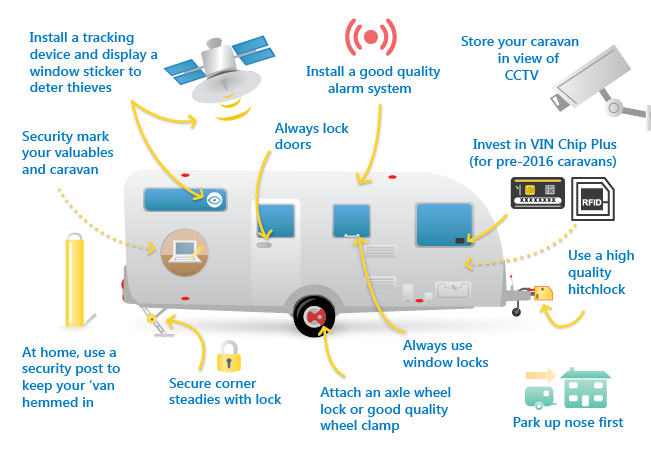 Here’s our infographic of our ultimate secure caravan. Winter wheels are a good way of preventing damage to your caravan tyres in the winter months. They also have the added benefit of making your caravan more secure by making make it difficult to tow away. We don’t offer discounts for winter wheels but providing the tourer’s normal wheels are stored securely away from the caravan then a Caravan Guard insurance customer would obviously not need to fit a wheelclamp when “Winter Wheels” are being used. 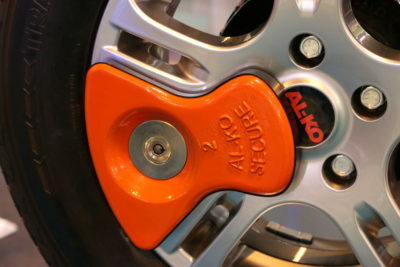 hi.. i wish to remark about ALKO SECURE center wheel locks. I nearly bought one until i seen an e mail from a guy in Devon, parked up for a week, had alKo secure wheel locks fitted, and a clamp, thieves put a gas cutting torch to both of them and left them on the ground for the owner to see (pinched his nearly new van) most disappointing. Nothing’s safe, I seen with my own eyes a van being towed along the road with half the awning cut away, had a hitch lock they put rope around the hitch to tow it away, they have an excuse for everything, “oh i found it, next to my car, Police wont, can’t, do anything. Physical security will slow down thieves and that can be enough in many cases. Thieves will always choose an easier, quicker option. Although probably not infallible, we’ve see a big reduction in thefts since AL-KO Secure was introduced. I can’t comment on the example you’ve given. A number of factors could come into play such as how secure the storage location was and how much time the thieves had to remove the AL-KO Secure. We’d always advise caravan owners to have as many layers of security as possible – hitchlock, wheel clamp or axle wheel lock, alarms, monitored camera, and of course secure storage either at home or in a storage facility. And the ultimate final layer of security is a tracking device that should quickly help police make a recovery following theft. When stopping suspicious outfits police will usually ask for proof of ownership and will validate this via CRiS. What about advice on locks for doors and windows. A 10 year old with a screwdriver could get unto the average caravan door in 5 seconds. There is some useful advice here, but the comment about not loading up the night before is completely impractical. In most cases, an early start is required and leaving the packing until the morning would delay setting off for up to two hours and may even need to be done in the dark. Thanks Keith. We understand that it might be impractical but these are purely precautionary tips as we have dealt with claims where caravan’s have been stolen when fully loaded or broken into and contents stolen. Very good information will obtain.